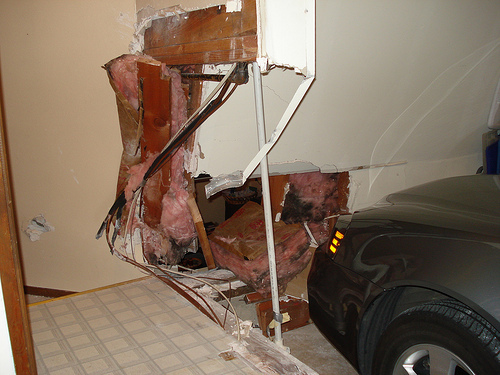 A car damages a garage wall and home entrance. 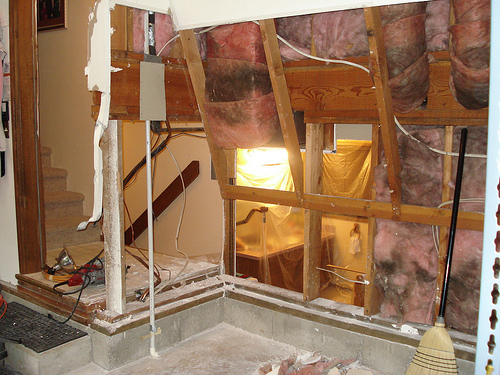 Drywall is removed during the repairing stages of work. 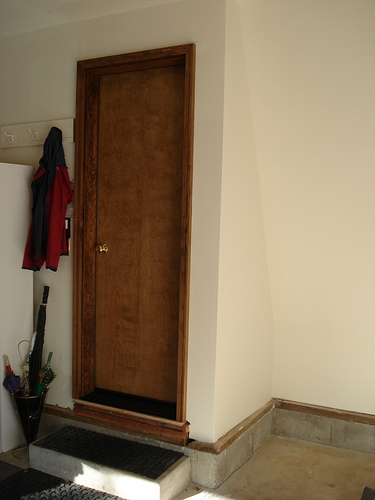 The finished product reveals new tile, a repaired doorway and restored drywall.